Of all the important issues that keep executives awake, probably none is more important than to think “Are we keeping up to the date?”. The rapid pace of change in IT and business, in general, means that CIOs and other senior technologists cannot afford to be decentralized. Where should you focus your energies as you build your to-do list for 2016? 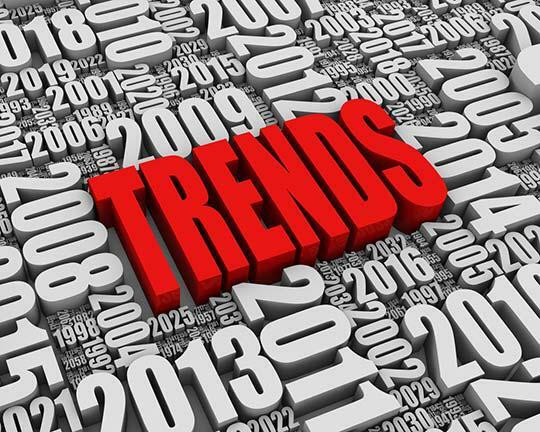 Forecast 2016 Computerworld survey of IT professional outlines five key areas – cloud computing, security, Internet of things, analysis, and the development of IT as a change-agent that promise to define the IT landscape in 2016. Finally, IT can move fully towards the center of the company in 2016 as the digital processing becomes an important strategic priority. Thanks to the economic growth, CIOs, and their IT organizations are well positioned to drive this change, increases in staff and a pronounced trend toward strategic spending. At the same time, 37% of respondents this year said they are planning to increase IT staff, compared with 24% last year. In addition, 42% of those hiring plans are looking for people with expertise in technology and business, that will articulate the value of IT in meeting business objectives. This mixed knowledge will be essential for IT to achieve its primary goals in 2016 – 19% of the respondents said their mission is to generate new revenue or increase the existing ones in the next 12 months. Also, on the list is the acceleration of business processes and agility (cited by 40% of respondents) and improved collaboration with business units (35%). While IT has made great progress in moving towards the strategic center of the company, there is more work to be done – mostly focuses on building relationships with business stakeholders. As organizations are building an IT infrastructure for the future, there is no doubt that the cloud will play a key role. The real test is to figure out which model of cloud computing is the best choice for a particular company. Almost half (48%) of the Forecast 2016 survey respondents said that cloud computing is an area for increased spending in their organizations, and 14% cited cloud initiatives as the draft most important technology for the coming year. Some 29% confirmed that they had already moved some business applications to the cloud with more plans; while 7% said they are in the process of migrating mission critical systems in a cloud environment. On the other hand, 22% of respondents said their organizations are conducting beta testing or pilot programs covering the complete list of cloud delivery methods including private, public and hybrid options. Now that the cloud is a standard element of IT architectures, the question facing CIOs is whether to use cloud-based systems and which deployment model is best for their organizations. Some things will be given a private cloud model while others take advantage of external cloud services or new types of delivery models. Data breaches made high profile last year (2015), with attention grabbing headlines. Maintaining the security is again at the top of IT budgets for the third year. Exactly half of respondents this year (versus 46% last year) said security spending will increase in 2016; making safety the first choice among technology initiatives related to higher spending. When they were asked to identify the most important project of technology currently underway in their organizations, security came in second place (chosen by 12% of respondents), behind cloud computing by only two percentile points. And 16% of these identified security as their biggest challenge regarding leadership for the coming year; surpassed only by budget and economic pressures. The so-called Internet of Things (IoT) is no longer the stuff of science fiction, but a reality shortly for IT organizations across many industries. IoT technologies can be implemented in all kinds of practical uses, such as optimizing the supply chain through RFID, and performance monitoring focused on energy saving system. Forecast 2016 Computerworld survey states 29% of respondents identified initiatives and IoT projects such as machine-to-machine and telematics as new areas of spending for this year. By comparison, last year, only 12% of respondents said that the work of IoT would be a new IT spending in 2015. Similarly, the percentage of the respondent said they planned to launch IoT projects in the next 12 months, which is 15% higher as compared to last year. As businesses pivot towards the digital market, the significant expenditure in the analysis of data will continue. The business analysis was No. 5 on the list of major projects for IT respondents and No. 3 in the technologies that they will get an increase in expenses over the next 12 months. Having organized all your data, companies are now finding out how to use them effectively. At the same time, the analytical capabilities are being integrated into more and more applications and workflows for daily use, rather than being only available in separate tools. The analysis also is infiltrating rapidly throughout the area of ​​machine learning, artificial intelligence and pattern recognition. This analysis can help discern patterns that are not apparent to humans. While products like Google Glass and Apple Watch were announced with great fanfare, the reality is that companies are not willing to make practical use of the wearable systems, at least in the future foreseeable. The wearable technology was last in the list of Forecast 2016 Computerworld survey, currently being evaluated in beta and pilot projects, with only 4% of respondents saying they had projects involving current wearables. Moreover, 78% said they might work on wearable applications or anticipating the need to support wearables in the near future. And only 8% of these people said that the wearables would play a role in their commercial and technological operations while only 12% said they were adjusting their management strategies to include wearables mobile devices. This entry was posted in Big Data, Cloud Computing, Industry News, Managed Security, News and tagged big data, big data analysis, big data tools, cloud computing, Internet of Things, IT services, Security on January 13, 2016 by marketing.